Liability accounts have credit balances. Equity accounts have credit balances. Income accounts have credit balances. Cost of Goods Sold accounts have debit balances. Debits increase Cost of Goods Sold accounts. Credits decrease Cost of Goods Sold accounts. Expense accounts have debit balances. Your bank account is an asset. It is something of value that you own. When you deposit money into your account, you are increasing that Asset account. What increases an Asset account? A debit. CHALLENGE QUESTION – If a bank deposit is a debit to your bank account, why does your bank statement call it a credit? ANSWER – Because the bank statement is stated from the bank’s point of view. The money deposited into your checking account is a debit to you (an increase in an asset), but it is a credit to the bank because it is not their money. It is your money and the bank owes it back to you, so on their books, it is a liability. An increase in a Liability account is a credit. This is the basic formula on which double-entry bookkeeping is based. Even if you have not had any training, I believe you can understand these principles. This is a common-sense formula. If you were to determine what your business was worth if you wanted to sell it, you would look at what the business owns that is of value (Assets), you would subtract your debt (Liabilities), and the result would represent your net worth (Equity). These are the types of accounts that are shown on the Balance Sheet. While Assets, Liabilities and Equity are types of accounts, debits and credits are the increases and decreases made to the various accounts whenever a financial transaction occurs. The cardinal rule of bookkeeping is that DEBITS must equal CREDITS. You go to Office Max and write a check for $2,605 to purchase a computer, paper and ink cartridges. What accounts would be affected? Asset accounts normally have DEBIT balances. When you deposit money in your bank account you are increasing or debiting your Checking Account. When you write a check, you are decreasing or crediting your Checking Account. Liability and Equity accounts normally have CREDIT balances. If you borrow money from a bank and deposit it in your Checking Account, you increase or credit a Liability account, Bank Loan Payable, and increase or debit an Asset account, Checking Account. I’m looking to get out of New Mexico. Are you hiring? John, thanks for your compliment! Fiscal Foundations has branch offices in Minneapolis/St Paul and Denton, TX. Our long term business plan includes establishing branches in major metropolitan areas around the country. 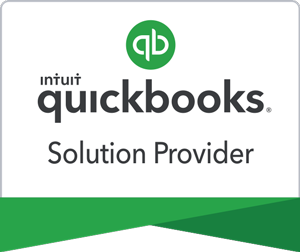 We hope to attract professional bookkeepers/accountants and QuickBooks ProAdvisors such as yourself (I checked out your website too!) to join us when the time is right. In 2012, we will be interviewing for our Denton TX Branch, managed by Advanced Certified QuickBooks ProAdvisor, Jim Schander. If you’re interested in relocating to the Dallas/Ft Worth area and wish to be considered, feel free to contact us at info@fiscalfoundations.com. Thanks for sharing this article. This is definitely a very helpful article. This will definitely help me in my business accounting. This is a very easy to understand guide for accounting.